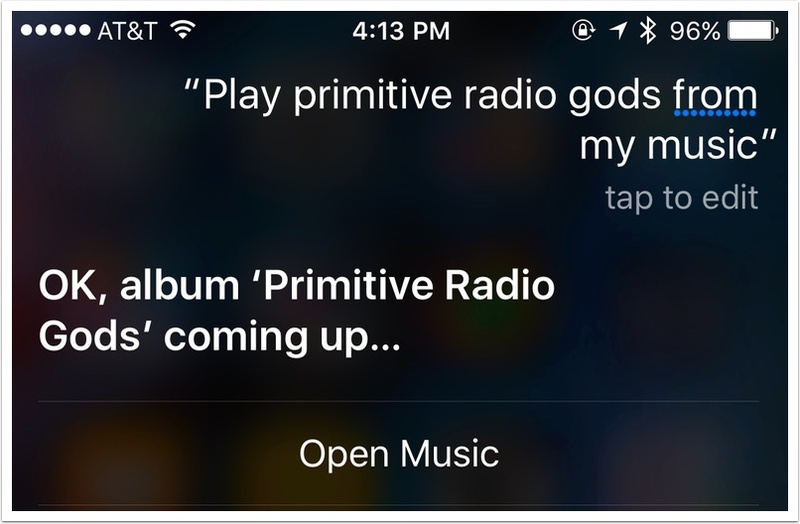 One of the things I love most about Apple Music is being able to play anything I want by just asking Siri. 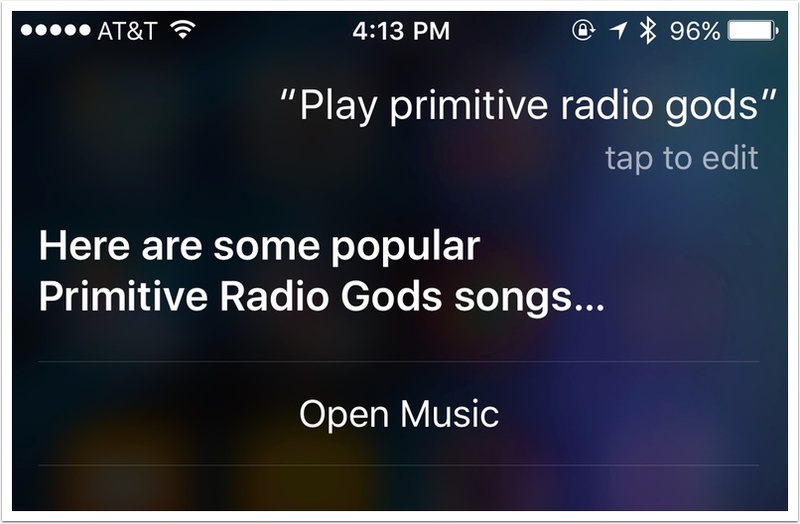 Siri’ll then play the stuff I’ve purchased from that artist or added to my library through Apple Music. Meaning that if I only like three songs by Pink Floyd, I don’t have to shuffle through their entire catalog to hear them. 1) Listen to a playlist. 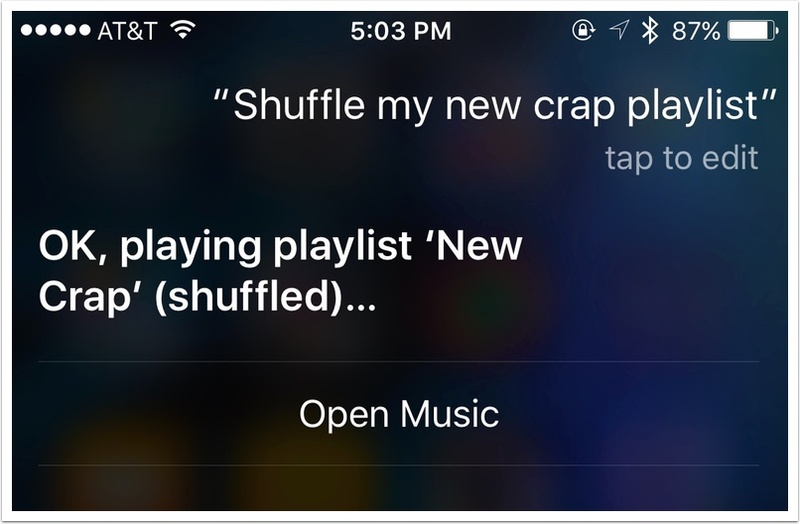 If you’ve got a playlist already set up on your device, you can just tell Siri to start it (or shuffle it). Yes, I really do have a playlist with that name. 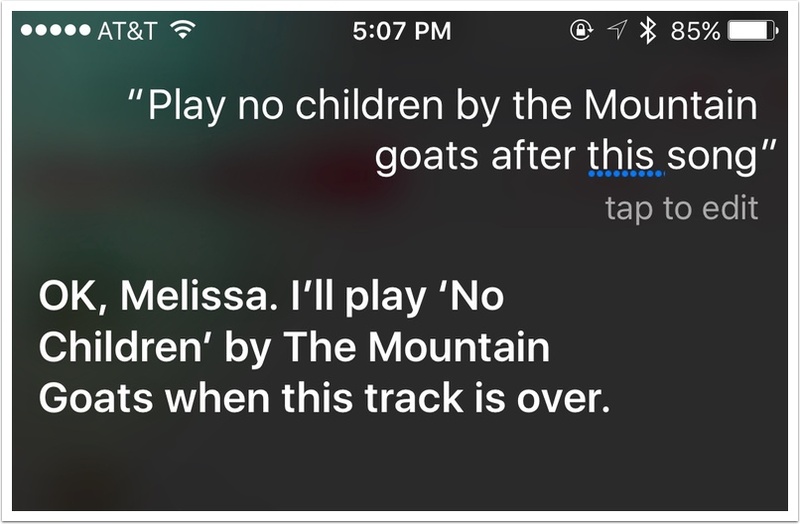 2) Set a song to play after the current one. Pretty self-explanatory, but nifty! Cool, right? There’s a ton of ways you can shuffle your music around and hear just what you want without having to even look at your screen. 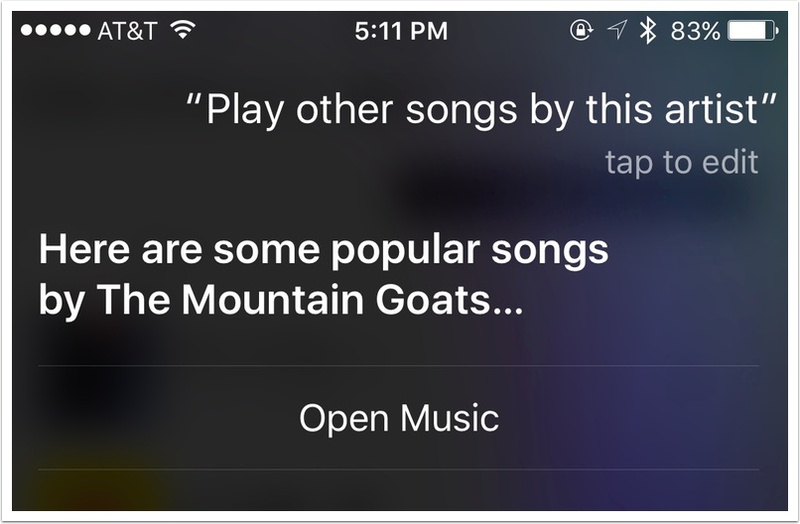 Which is kind of a problem for me, as now I’ve pretty much forgotten how to use the Music app. Oh, well.